The latest release from Warner Home Video and Sesame Workshop, the nonprofit educational organization behind Sesame Street, makes learning F-U-N as Elmo guides preschoolers through early literacy skills in the classic manner that fans of the long-running television program have become accustomed to - which means plenty of engaging stories, silly songs and funny characters. I mean, how can you not have a blast learning when you’ve got a bunch of Muppets leading the class? In the 40+ years since Sesame Street first hit the airwaves, there has been a plethora of amazing children’s programming on television. Some might be flashier or a bit more exciting and at times, the old classic might seem a bit dated. But the fact remains that Sesame Street is still the benchmark for educational children’s television. Having viewed this DVD with my own child, as well as watching Sesame Street nearly every day for the past three years, I can attest to the fact that no other show and no other group of characters has captivated her mind and heart more than the ones found in this very familiar neighborhood. Some of your old favorites might be gone, replaced by new characters, but the spirit of Sesame Street is alive and well and in very capable hands. And that’s part of the beauty of the show – you can tell that the guest stars are having a great time. It’s not hard to figure out that they, like so many of us, grew up watching and learning from Sesame Street and are thrilled to be a part of it. And wouldn’t you be? Simply put, you cannot deny the power of this show, and this DVD is no exception. So I’ve gushed over Sesame Street, and this particular DVD for a while now; it’s time to get into the bad. Like many of these releases, Learning Letters With Elmo is cobbled together from various episodes of Sesame Street. I know this because I recognized a number of the segments. It’s not a surprise and it’s not something that I’d normally hold against this type of feature, but unlike so many of the other Sesame Street DVDs I’ve watched, this one actually feels cobbled together. Hearing Elmo welcome you to Sesame Street in the middle of the program, when you’ve already been there for 30 minutes, feels a little odd. Will your child notice? No, in all honesty they will not. But I’m not a child; I’m a 34-year old parent and yes, I’m just being nitpicky here. If my child were writing this review, she wouldn’t bring it up because she certainly did not notice it. But there is an overall lack of continuity on this DVD that may have led to her getting somewhat bored by the end. Then again, she’s 3 and it’s an hour long, so maybe I’m just reading too much into it? If I had any real complaint though, it would be the fact that only three letters (A, I, and J) are featured. While the educational material is top-notch, I couldn’t help but long for more. What about all the other letters? I know that 60 minutes isn’t really enough time to give each letter its due, but I just felt like we were missing out on something. And who knows, maybe this is only the first chapter in a series of DVDs featuring letters? At any rate, even this complaint is a pretty minor one. All-in-all, it’s Sesame Street. Unless you’ve been under a rock for – well, your entire life, you know what you’re getting into with a DVD like this one. When comparing it to other recent releases such as Bert and Ernie’s Great Adventures or C is For Cookie Monster, Learning Letters With Elmo is definitely lacking somewhat in the fun factor. 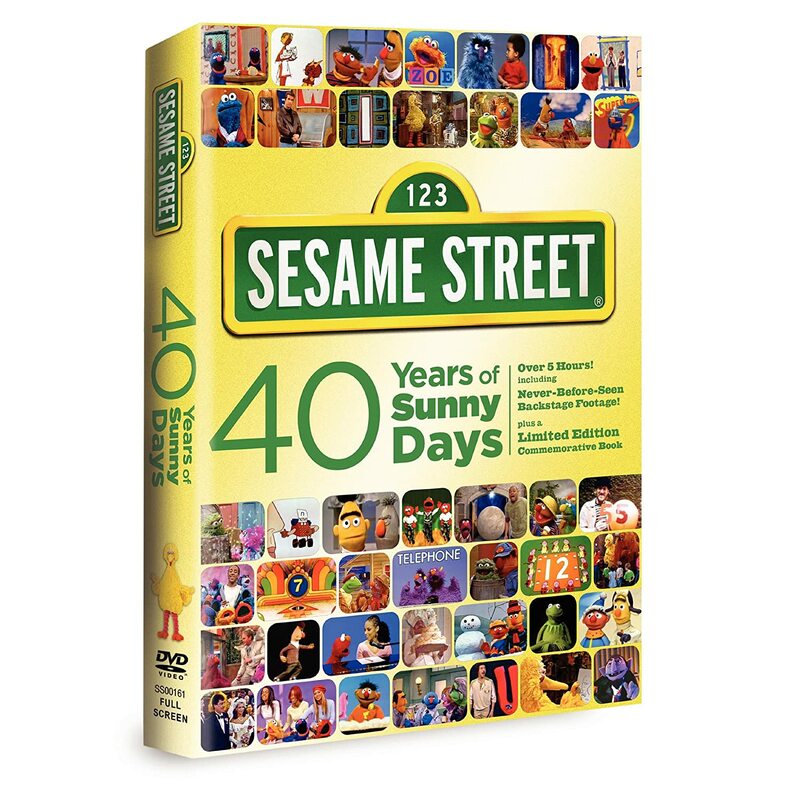 But honestly, you can’t go wrong with any Sesame Street DVD and I still have to give this one my seal of approval, despite its shortcomings. You just can’t beat the Street!